Madonna made a cameo appearance in the 1985 movie Vision Quest as a nightcub singer. Together with Jellybean, she contributed two songs to the movie soundtrack, Crazy For You and Gambler, both of which were released as a single. 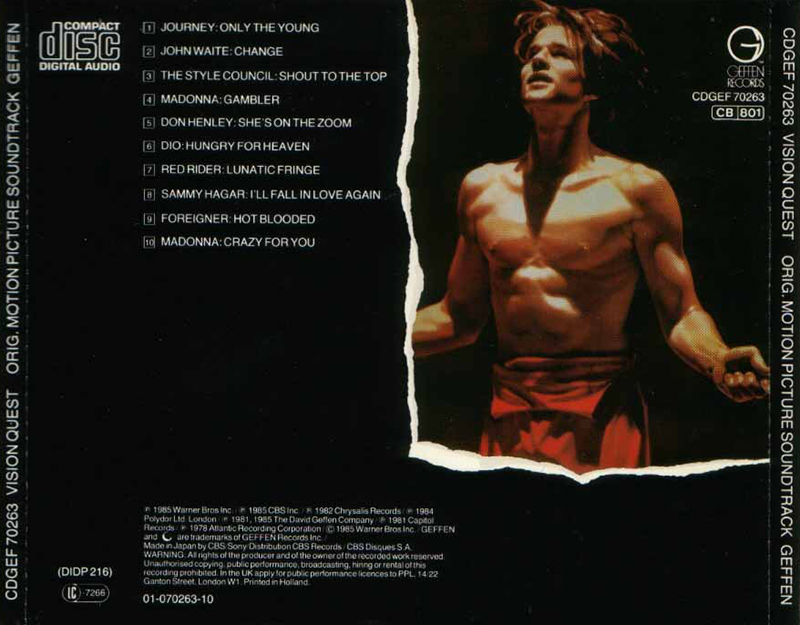 The singles were a huge success, the movie wasn't. At its re-release in Europe, the movie was retitled to 'Crazy For You', after Madonna's #1 hit single. 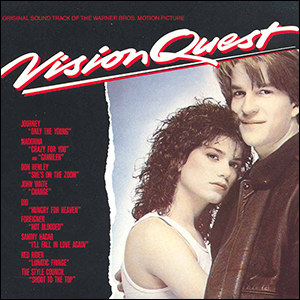 The Vision Quest soundtrack was released on February 12, 1985 by Geffen Records. It peaked at #11 in the US Billboard chart.